Turn it off and back on again. No really. We’ve all been there. Your device isn’t working quite as expected, and you are starting to get really frustrated. You give Techno Goober a call to speak with one of our expert techs, but they give you that dreaded advice. Turn it off. And turn it back on again. Before you get angry, this actually works. The next time your device has a glitch, your Wi-Fi is acting up, your application is slow, or your laptop is acting up, try this advice. Turn it off then turn it back on again. Rebooting your device can help with any number of issues. It works with desktop computers, laptops, tablets, game consoles, phones, printers, and wireless routers. When you turn your device off and on again, it resets your device, and it begins reading the code from the beginning. Sometimes the computer loses its place like reading when you’re tired and accidentally skipping a line in your book. Going back to the beginning of the paragraph, like resetting your device, helps you find your place again. So, next time your device starts acting up, don’t panic. Start by closing the application you are using. After shutting down the application, try opening it again. Sometimes, closing the application and restarting is enough to resolve the problem you were experiencing. However, if the problem persists, shut down your computer. After the computer or device restarts, try opening the app again. 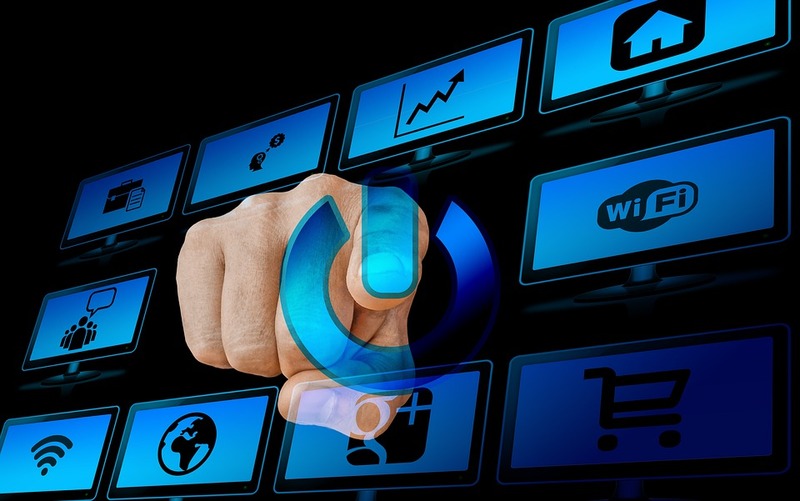 To reset other devices like printers and wireless routers, simply hold the power button until the device powers down. Wait a few minutes then turn the device back on. Do NOT reset the device during an update. 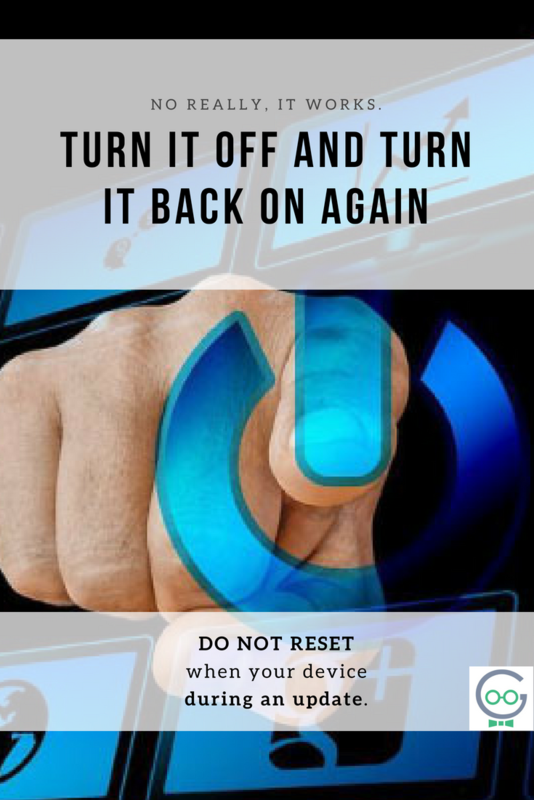 Restarting your computer or device when it is updating or installing can cause huge problems. If you think there may be a problem with your computer while it is installing an update, call our tech support for more information first. If you’re still having problems with your device after restarting it, get an expert’s advice. Give our Goobers a call at 302-645-7177 for professional help. Our Tech Support Goobers can help with computer repair, phone repair, application support, and much more.